This Lock and Seal Container is available with exclusively tight fitting sealed containers. These are available in different shapes, sizes with various patterns. These containers are identified for their features like Durability, Available in different dimensions, Air tight and long service life. 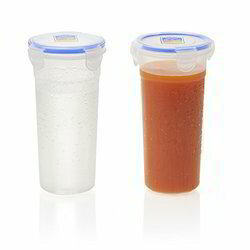 These seal containers are designed to store the food and other food fresh for a long duration of time. we supply in Mumbai and in foreign markets. We offer a wide range of Plastic Air Tight Glass. It is a glass jar with decal and ,any style of the decal are available, a lid of the jar is plastic and design as your required. 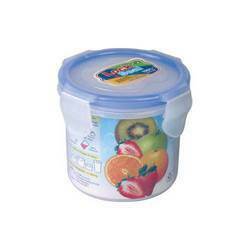 We manufacture high-quality Airtight Container that can be used to store a variety of edible products. These containers are available in different sizes to suit every requirement. The high-quality plastic used in these containers ensures that the stored product remains fresh for a long time. 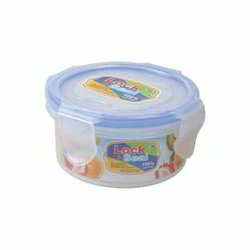 Plastic Food Storage Container offered are made available in size of 150ML. These boxes provide functionality as tight fitting sealed containers which can be made available by us in different shapes, sizes as well as other different options to choose from. These containers are also identified for their superior durability, airtight finish, and long service life and can store food items safely for a long duration of time.